Are you enjoying the fall? The crisp air, the sound of leaves crunching underfoot. It’s magnificent. And potentially very productive for anyone thinking about major landscape improvements in the coming year or even securing a professional Landscape company to maintain your property. Fall and winter are a great time to consider what landscape improvements you’d like to make during next year’s growing season. If you don’t already have one, start a landscaping journal and reflect on what worked, what didn’t, and what you’d like to change once spring rolls back around. You can even make a checklist of some of your outstanding fall chores, and set goals for what you hope to accomplish in the future. For example, you may have noticed some drainage issues this year in certain parts of the yard. Do a quick assessment, and sketch out in your journal where the biggest problems occurred. Then list what fixes you’d like to attempt in the coming year. Getting your thoughts in order now will save you time in the spring when you’re ready to get underway. If you have trees in desperate need of pruning, use your journal to record which ones are a priority, as well as the names of some arborists to contact for an estimate. A word to the wise: arborists tend to work year-round and might even give you a seasonal discount! No need to wait for spring to complete this important task. It has been a difficult season on Landscapes in the Northeast, and as a Landscape Company in North Attleboro, Ma we have had to work with Tree and water damage from Tropical storm Irene and then an early snowfall in October which has been detrimental to our trees. For many of us, lawn care is an ongoing battle. Take this seasonal break from weeds and grubs to give some thought to what went wrong with your grass. Create a list in your journal of the various products you tried this season—the good and the bad. Do some research online or at your local nursery to uncover alternatives for next year. If you’ve given up all together and are ready to turn everything over to the pros, use your journal to keep track of contractors and their contact information in your journal. The point of all this, however, isn’t whether or not you use an actual journal to record your thoughts and plans for the next growing season. The method you choose to get your landscaping improvement projects in order is unimportant. What is important is that you start now. 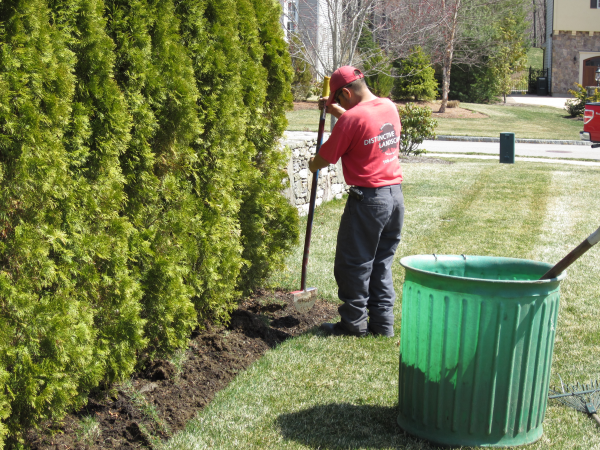 With a little advance preparation, you’ll be able to complete next year’s landscape improvements more quickly and with less hassle. And who doesn’t like the sound of that? If you think this is interesting, we like Blue Dot Landscaping’s blog.